At Riverview Dental, Dr. Slack DDS provides dentistry for the entire family. Parents, we encourage you to begin teaching your children good oral health habits when they are very young. This includes brushing, flossing, healthy eating, and preventive dental visits for the entire family, including you! Oral Exam: This includes a visual gum-tissue and oral-cancer scan, x-rays and periodontal charting. Discussion: Mention concerns about your teeth, gums, and general oral health with the dentist—PLEASE, ask questions! Medical History: Tell us about health issues (past or current), medications, diet, and tobacco use, as these may impact your treatment. Be sure to notify the staff if you are pregnant. Insurance Questions: If you are insured, bring your information with you so we can bill appropriately. This is a cleaning by one of our qualified dental hygienists to remove plaque, tartar, and stains from your teeth, usually every six months. 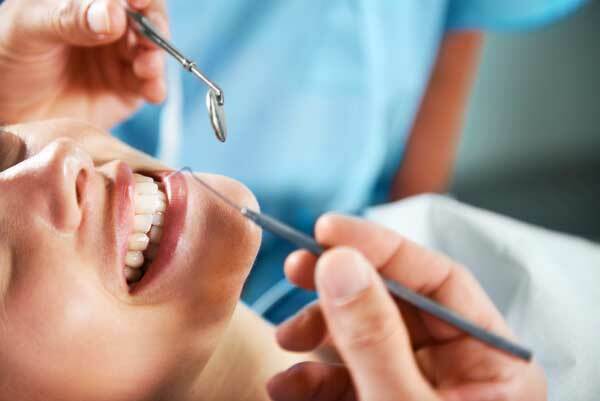 In addition, our staff will perform gingival therapy (deep cleanings) and scaling and root planing (for on-going management of periodontal disease), depending on your customized treatment plan. As a family dentist, we care about the overall health of your family. That’s why we use a Sirona Digital 3D Panoramic X-ray machine and intra-oral sensors, which uses 90% less radiation than conventional equipment and provides instant results. How often you need X-rays depends on your age, current oral health, and indications of oral disease. Children may require X-rays more often because their teeth and jaws are still growing, and they are more vulnerable to tooth decay than adults. Pregnant women must notify our staff of the pregnancy prior to X-rays. Most of us will require at least one filling over the span of our lives. While fillings are most often used to address cavities, they may also be utilized to repair broken, cracked, or worn teeth. At Riverview Dental, we use Nitrous Oxide (laughing gas) when appropriate. We also have a new way to fill cavities, which is Laser Dentistry. After numbing the patient to pain, we remove the decayed area of the tooth and clean it out before filling it with the appropriate material. A bite check will ensure your teeth align properly. Dr. Slack DDS has been practicing dentistry for over a decade. Call Dr. Slack DDS, your trusted family dentist.